Free woodworking plans for all types of router tables. A must have in every woodworkers shop and they can be easy to build. Use one of these free plans. 8 Free Woodworking Plans found in the "Router Tables" Category. 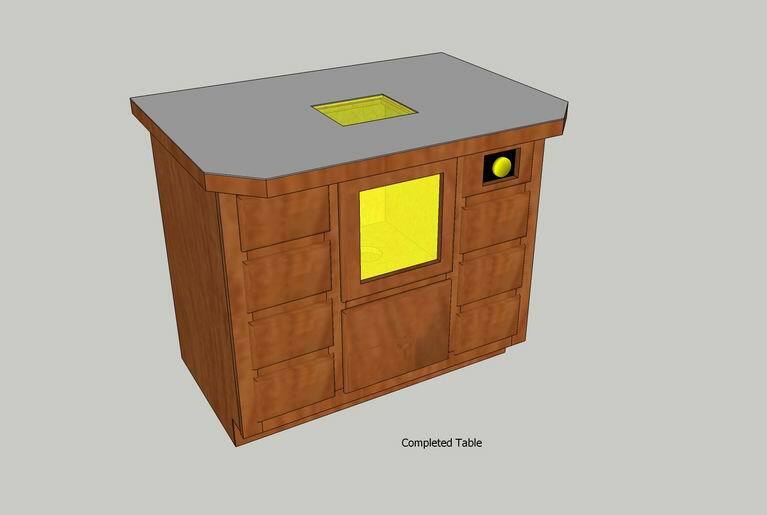 Nice Router Table plans with 3d views. The Quick & Easy Router Table is packed with many impressive features. But if you'd like to upgrade it and make it even more versatile you can add a stand with adjustable shelves. This rather elaborate router table fence has clamps built into it to secure it to the table, as well as an adjustment for fine tuning the distance of the fence from the bit. 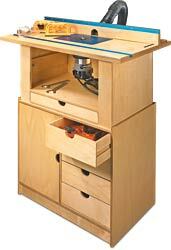 A floor standing router table offers two advantages over smaller router tables that you can mount on your bench. Aside from the fact that it doesn't take up space on the bench, it gives you storage drawers to keep your bits, routers, and related accessories. If you don't have space in your shop for a floor mounted router table, or if you want a simpler route to a router table so to speak, consider this project.